The Defense Ministry and Russia’s United Aircraft Corporation (UAC) are close to signing a deal for new Ilyushin Il-78 Midas aerial refuelling tankers for the Russian Air Force, a UAC source told RIA Novosti on Wednesday. 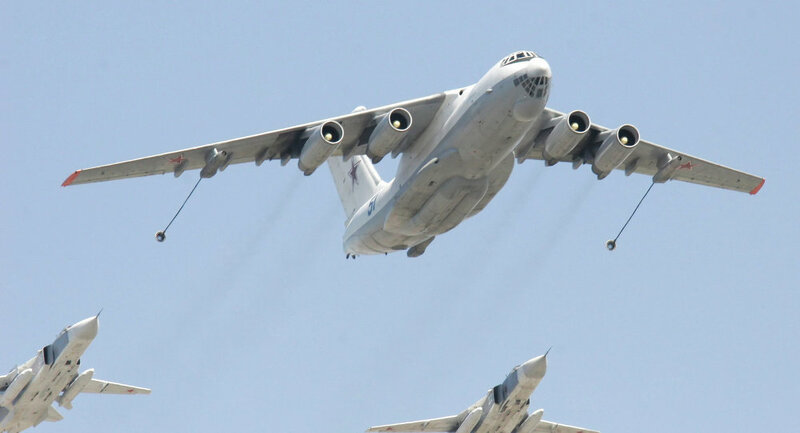 MOSCOW, February 20 (RIA Novosti) – The Defense Ministry and Russia’s United Aircraft Corporation (UAC) are close to signing a deal for new Ilyushin Il-78 Midas aerial refuelling tankers for the Russian Air Force, a UAC source told RIA Novosti on Wednesday. The current list price for an Il-78 aerial tanker is about 3.5 billion rubles ($116 mln). Some media reports earlier speculated that the Russian Defense Ministry may order up to 31 new Il-78 planes. The ll-78 is a four-engine aerial refueling tanker based on the Il-76 heavy transport plane. A modernized version of the Il-76MD-90A (also known as Il-476) will soon enter serial production at the Ulyanovsk-based Aviastar-SP plant. The new tankers will most likely be based on the Il-76MD-90A . The Russian Defense Ministry said last October it had signed a contract worth about 140 billion rubles ($4 billion) with UAC for the delivery of 39 Il-476 planes by 2020. Military Transport Aviation's commander Col. Gen. Vladimir Benediktov later said the service would in fact buy 48 of the planes by 2020. According to open sources, the Russian Air Force operates 19 Il-78 aircraft in the 203rd Guards Air Refueling Regiment.